A 1960 Lincoln Mark V convertible parked in front of the vacant Juilleret’s. 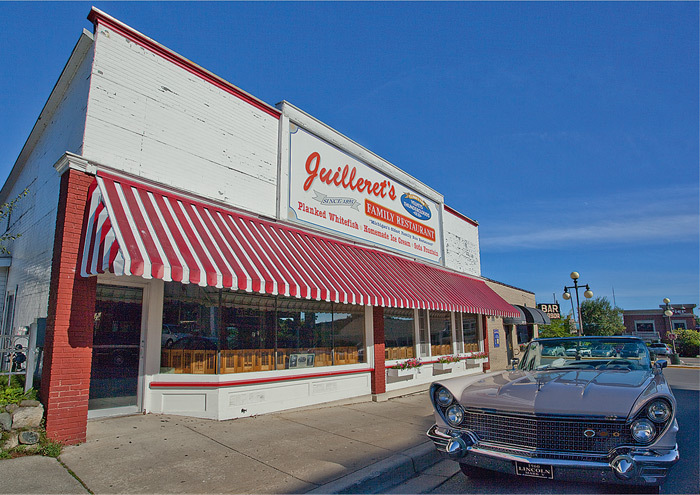 Owned and operated by the same family for four generations, Juilleret’s was Michigan’s oldest family-run restaurant dating back to 1895. The homey place closed in 2007. Photo © copyright by Mike Barton.